Second Graders begin their journey through the world of the Torah. They study some of the extraordinary stories at the heart of the Jewish people, and discover their messages. 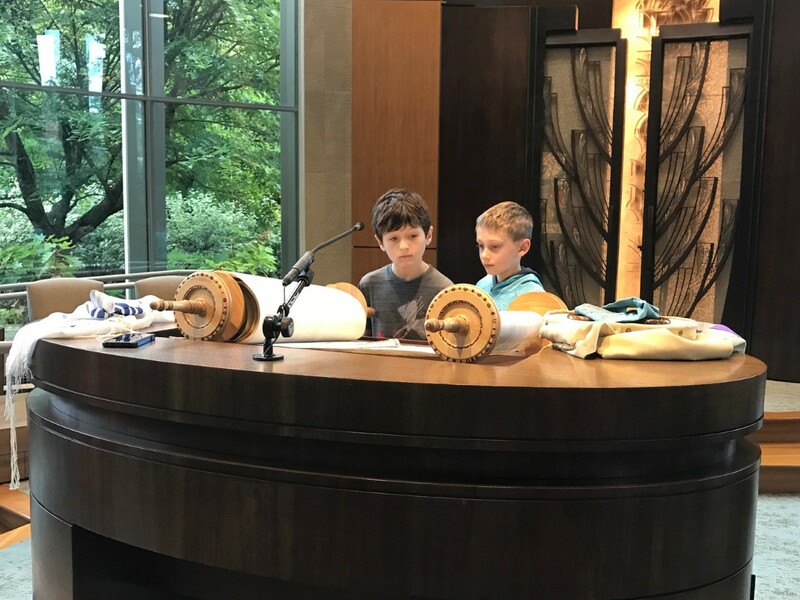 They will illustrate and construct their own Torah scroll and create a beautiful handmade Torah cover. They explore “What’s in a Name” with their families and learn the meanings and origins of their Hebrew names. Together with their families they participate in a beautiful Shabbat Torah ceremony. Hebrew learning continues through Kashkesh, our immersive Hebrew learning program of Music, Art and Dance.